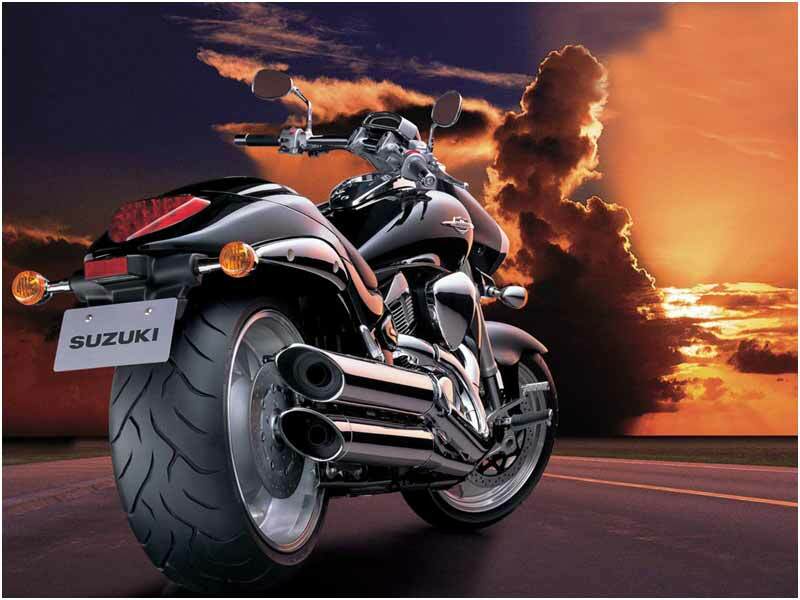 Suzuki Intruder M1800R is a top notch sports cruiser with awesome power, exquisite look and easy manoeuvrability. Check out the review to explore the features, technical specifications & price. Suzuki Intruder M1800R is a top notch performer trying to be in fray with the Harley Davidson in particular. The sports cruiser is derived from the superior technology with the advanced features to deliver the much desired high-end performance for any kind of terrain. Suzuki Intruder M1800R commands a unique style statement that leaves the bike lovers with the burning desire at the very first sight. 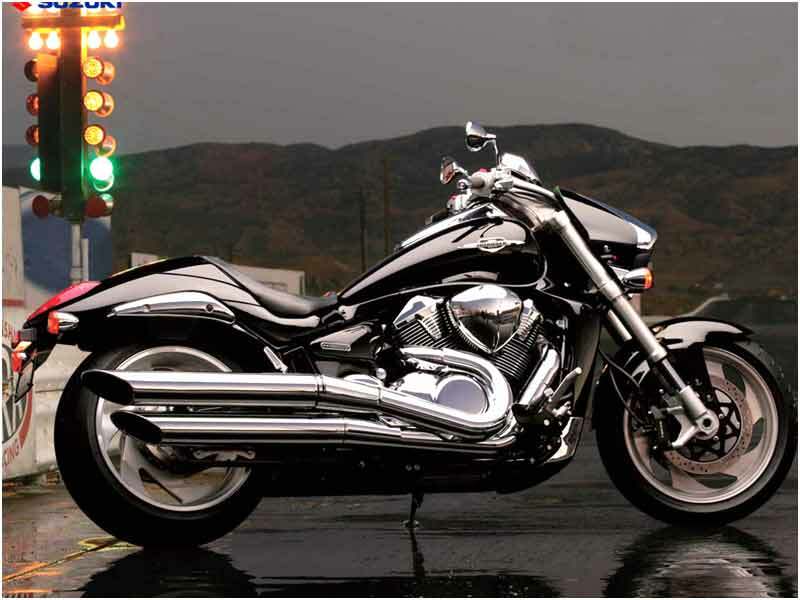 The radiant look with the metal on Intruder M1800R tantalizes anyone for a test ride. The back tyre is very huge and rises to the right point proportionate with the seating posture of the rider. The seat saddle looks dipped and is exclusively for single rider. The weight of the bike is almost twice that of a GSX R1000. The pipes are dual cut and they are curved beautifully towards the rear end and the side stand of the bike is something that's so artistically designed and conceived. No wonder the machine has become quite popular since its launch among the die-hard biking population. The power of Intruder M1800R is sourced from the V-twin, 1783cc engine equipped with revolutionary SDTV (Suzuki Dual Throttle Valve) digital fuel injection system, liquid cooled, DOHC and four valves per cylinder. Each cylinder is coated with SCEM (Suzuki Composite Electrochemical Material which makes them hardy and heat resistant). Suzuki Intruder has the largest engine pistons than any other motorcycle. The huge 112 mm aluminum-alloy piston is a product of race-proven design to give an envious performance on the road and the track. The power is awesome with 125 Bhp @ 6200 rpm and commands an incredible torque of 160 Nm @ 3200 rpm with electronic ignition and compression ratio of 10.5:1. The Intruder M1800R is a massive cruiser with height of 1185mm, width 875mm and the length is no less than 2480mm. The exquisite look of the bike is not only accentuated by the stylish side stand, the LED taillight assembly and headlight cover also add to overall look of the bike. The low massive tank, the huge headlamp, the enormous aluminium handlebar, bespoke alloy wheels and a colossal 240-section rear tyre are all modern-day absorbing chopper-like features. Everything on this bike is large and with the generous amount of chrome adorned all over the bike, it's definitely an eye-catcher. The hyper cruiser, M1800R reflects a perfect blend of styling, extraordinary torque and raw power. Suzuki Intruder M1800R is just huge and the Japanese company Suzuki intended to make it different from all the other cruisers. Suzuki Intruder M1800R boasts of great brakes but in an undulating terrain when we have to shift gears, the ride can get bumpy occasionally. However, in normal road conditions, riding Intruder M1800R is an exciting opportunity to feel the difference. The front suspension of Suzuki Intruder M1800R is inverted telescopic, oil damped and coil spring while the rear suspension is the link type. The tubeless tyres offer greater stability and gripping on the road. A big bike but with remarkable balance. 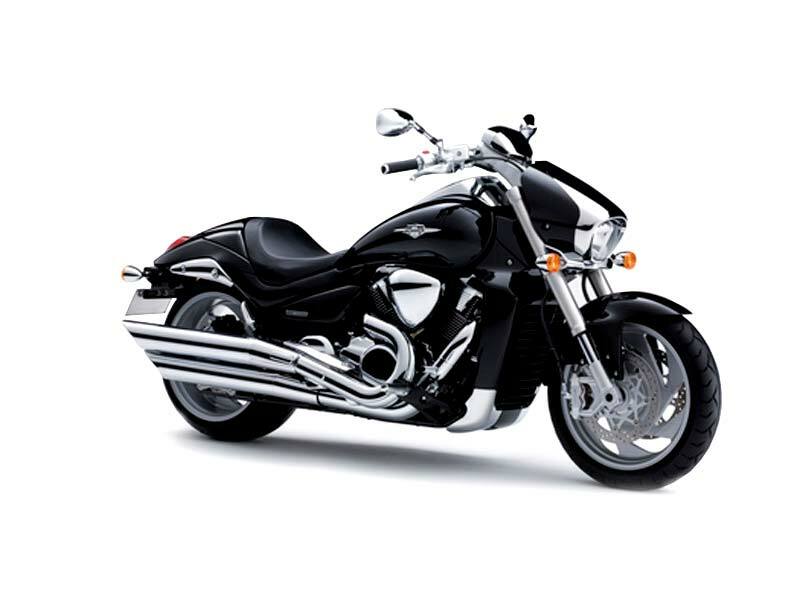 The engine performance of Suzuki Intruder could be compared to Triumph's Rocket III. The bike weight is mostly taken down beneath its huge fuel tank and also to the front of the rider to give an easy manoeuvrability. The seat height becomes lower than the Triumph's III and makes it easily manageable. This is a commendable feature and the more one rides the bike the better one feels. The bike adjusts so well in U turns and it become a child's play once a rider gets used to the bike. Packed with a powerful engine, Suzuki Intruder M1800R gives an average mileage of 10-12 kmpl. Suzuki Intruder M1800R is available in two colors: Pearl Dark Cherry Red and Pearl Nebular Black. Priced at 12.5 lakhs as ex-showroom rated in major Indian cities. Intruder M1800R would initially be available in Delhi, Bangalore, Hyderabad, Chennai, Pune, Mumbai and Ahmedabad.